Our classic product incorporating a bacteria-killing agent and a mild scent for better odor control and longer-lasting freshness. Main properties: a high-absorbability litter eliminates odors fast gives off a pleasant floral scent on coming in contact with liquid incorporates a high-powered bacteria-killing agent inhibiting bacterial growth causing unpleasant odors, making this litter longer-lasting and enhancing its properties. 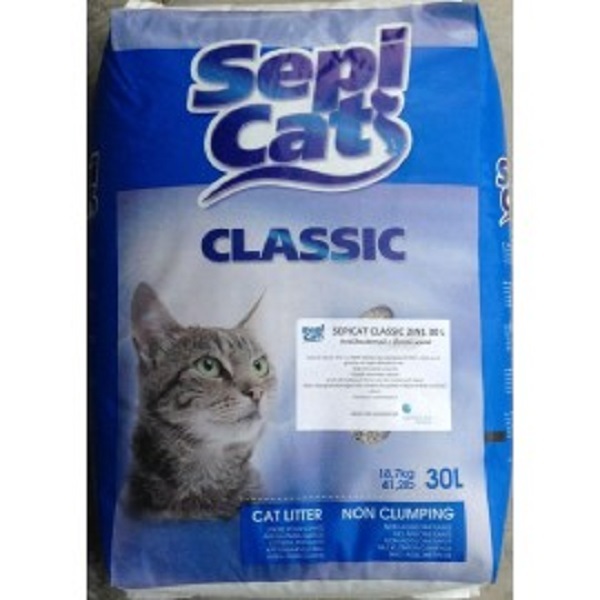 Sepicat classic 2in1is easy to use: pour a 5-7 cm layer of absorbent litter into the litter box. Occasionally remove the feces and the soiled areas. When completely soiled, change the entire contents and clean the litter box before pouring in the new absorbent litter. Formats:30lhighly absorbent odor controlling-lasting antibacterial.